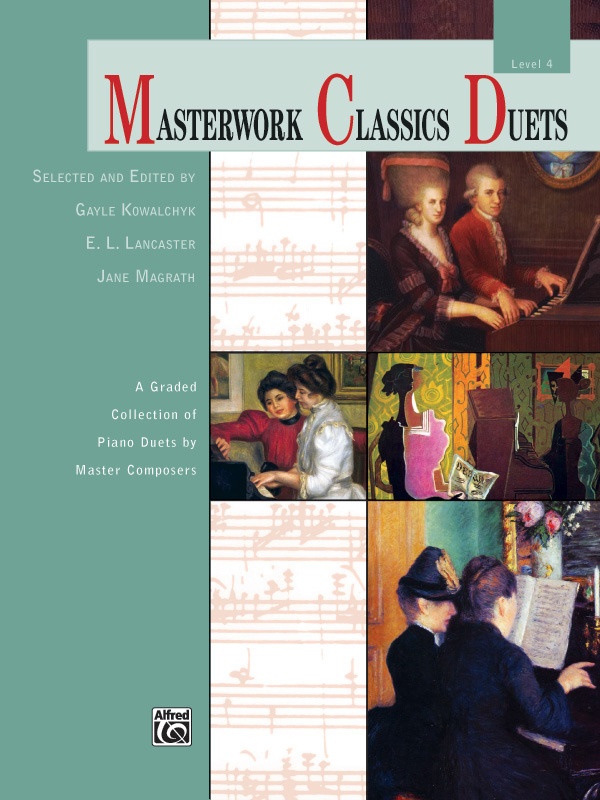 * These graded collections of piano duets by master composers are among the best literature available at respective levels. * Each duet, written by composers who lived in the 18th, 19th and 20th century, has been carefully edited and fingered for performance ease. * Titles: Allegretto in G Major, Op. 824, No. 18 (Czerny), Andante (Stravinsky), Immortelle Nos. 1-5 (Spindler), Katy-dids, Op. 47, No. 4 (Beach), Mysterious Story, Op. 57, No. 2 (Kirchner), Sonatina in C Major, Op. 163, No. 1 (Diabelli), Sonatina in D Minor, Op. 163, No. 6 (Diabelli), Tarantella, Op. 107, No. 15 (Moscheles).